Apple's Beats Music and iTunes Radio streaming services are available in a limited number of countries, but Apple is working on launching its upcoming music service in a number of countries around the world. Previous rumors have suggested Apple's upcoming music service will launch in multiple countries when it debuts in June, and a new report from Billboard confirms that Apple is seeking to establish deals in Russia. According to Russian newspapers, leading Russian record labels have hinted at the negotiations and have suggested that Russia will be among the first countries where the new music service will launch. Apple is said to be working on deals with local labels that would expand its digital rights to streaming services. Currently, Russian iTunes users have access to music, movies, apps, and books through iTunes, as well as iTunes Match. Beats Music is only available in the United States, while iTunes Radio is available in Australia and the United States. When iTunes Radio launched in 2013, Apple promised to bring it to additional countries, with iTunes chief Eddy Cue saying a worldwide launch for iTunes Radio was a "top priority" and service was planned for "more than 100 countries." It is not clear why Apple's iTunes Radio expansion plans fell through, but the intricacies of establishing contracts in many countries around the world likely played a part, as did iTunes Radio's lukewarm reception. 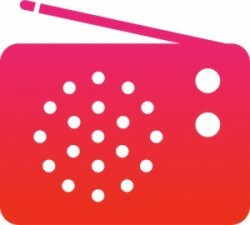 iTunes Radio is set to receive a major revamp alongside Beats Music, and while today's report doesn't state whether or not the Russian negotiations cover content for both streaming services, previous rumors have suggested that the new version of iTunes Radio, like the new streaming music service, will launch in multiple countries around the world. The new version of iTunes Radio may feature improved curation and exclusive radio shows hosted by notable DJs. Apple hired BBC Radio DJ Zane Lowe earlier this year, along with a handful of other radio content producers. Exact details on Apple's new iTunes Radio service are not known, but Apple may attempt to make the service more palatable to users through better tailoring towards regional markets. As for the upcoming streaming music service, it's rumored to be similar to the existing Beats Music service, with a focus on curated content and artist exclusives. While iTunes Radio will remain free, the new Beats-based streaming service will reportedly cost $9.99 per month. Both the revamped iTunes Radio and the new streaming music service may debut in June, at Apple's Worldwide Developers Conference, and both will be integrated into Apple's redesigned music app, introduced with iOS 8.4. Just don't see how it could be better than Spotify anyways. I can. Add the ability to save music like in spotify and curate playlists like in spotify but on iTunes along side my music that is ripped and purchased? Thats a huge win. I still use iTunes only to manage my music and then sync it to spotify. I don't want two apps, just one. But I want spotify's style, with iTunes. Merge the two functionality wise and you have a winner. I would drop spotify in a hurry if that came to fruition. With 'Apple Music', all they need to do is match Spotify's price and content (easy), and differentiate themselves with superior UX and exclusive content (that's in iTunes ballpark) while providing a seamless experience in their Apple ecosystem (what they are all about). This will be built in service for more than a billion iOS and OS X devices around the world, not to mention Windows and Android. All of this, whatever its going to be, seems to be taking too long to happen. iTunes Radio could've been far more successful if Apple made it more accessible. I know a lot of people at work who listen to Pandora using a web browser. Apple forces the user to download iTunes and submit their credit card. Talk about making things difficult. You don't have to submit a credit card. Good luck getting Russians to pay for digital anything. No offense, but piracy is rampant in that country. Why can Amazon & Spotify just launch worldwide and force the labels to tow the line yet Apple struggle to launch in two - just do it and make them sit up and take notice with the volume of business you will bring in. Stop messing about and sort it Apple. Im not putting my hopes up for a UK launch any time soon. iTunes Radio never hit the UK, and I paid for iTunes Match for two years on the premise that I'd get Ad free content, as well as a backup of my own music. I stopped subscribing after my library hit the buffers. I'd settle for iTunes successfully backing up my iPhone. Instead it tells my my phone has disconnected when it hasn't. As for paying a monthly fee for a streaming service, well, screw that.